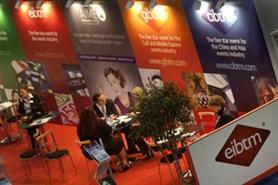 EIBTM has added seven members to its advisory board in a bid to improve the delegate experience at its annual show. The new members' experience spans venues, tourism bodies and consultancies. The additions include: Meenaz Lilani, executive director of global sales EMEA at Fairmont Raffles Swissotel Hotels and Resorts; Bruna Migliazza, managing director of Hay Group; Luca Favetta, senior director of global events at SAP; Barbara Albrecht, managing director of the Swiss Convention Bureau; Ole Sorang, director of regional marketing at Rezidor; and Eric Mottard, chief executive of Eventoplus. Graeme Barnett, Reed Travel Exhibitions' (RTE) EIBTM event director, said: "The current advisory board consisted of nine members and after careful consideration, we have decided to expand the board to increase the richness and diversity of the membership group to provide a greater depth of insight and knowledge. "In effect, the advisory board acts as a 'critical friend', providing advice and support on purpose, vision and planning. Our members also act as a sounding board for new ideas and developments that lead to growth."